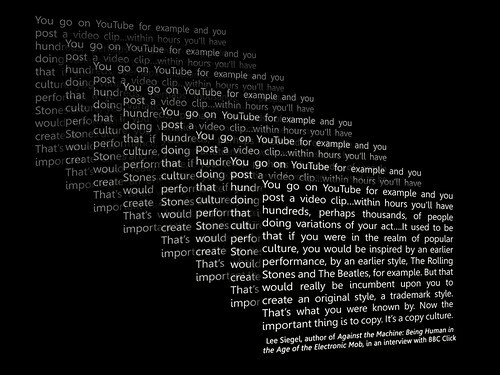 You go on YouTube for example and you post a video clip…within hours you’ll have hundreds, perhaps thousands, of people doing variations of your act….It used to be that if you were in the realm of popular culture, you would be inspired by an earlier performance, by an earlier style, The Rolling Stones and The Beatles, for example. But that would really be incumbent upon you to create an original style, a trademark style. That’s what you were known by. Now the important thing is to copy. 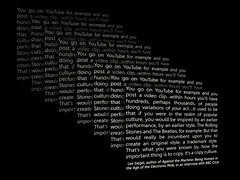 It’s a copy culture.